Our school was founded by Blessed John Henry Newman, three years before the Oratory School (a Catholic Boarding School for boys which he also founded) came into being on 1 May 1859. The Oratory Mission Roman Catholic School opened in 1856 on Hyde Road for boys and girls. 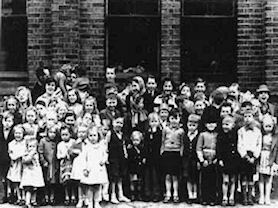 The children were initially taught within one room. A new building was completed in 1868, expanded in 1912 and again in 1923. The foundation stone was laid by Hilaire Belloc (a former pupil of the Oratory School, Birmingham) and G.K Chesterton on 26 October 1923. It was reported in the local paper that the school must be 'of some repute to have attracted such Catholic worthies.' The foundation stone can still be seen in our School grounds today. 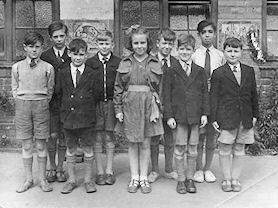 In 1924 the boys moved to the former St Philip’s Grammar School located next to the Oratory Church. 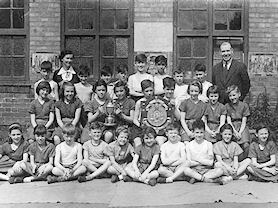 Following the Education Act of 1947 the school enlarged to a secondary modern in addition to a Junior and Infant School. 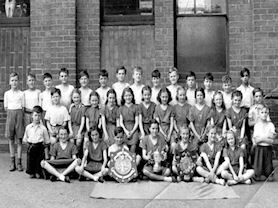 Our school moved to its current location on 2 November 1976. 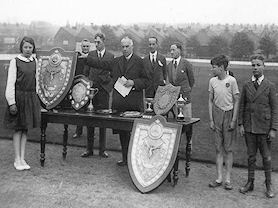 Prize Giving Ceremony Birmingham Catholic Sports Association Championships 1932. 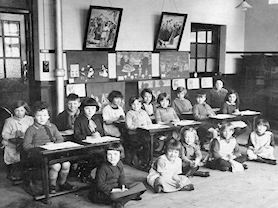 Class at the Oratory Junior and Infant School 1933. 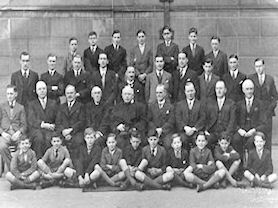 The Oratory Boys’ Choir 1935. 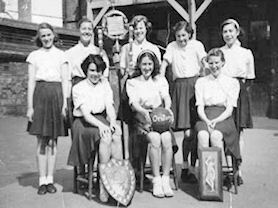 Coronation Day at the Oratory School 1952. 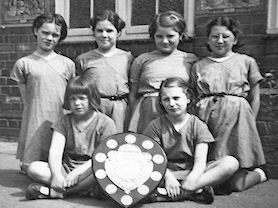 Oratory Junior Children who passed their 11 plus in 1954. 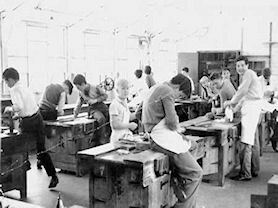 Woodwork shop at Oratory School 1958. J.R.R Tolkien was an English writer, poet, philologist, and university professor who is best known as the author of the classic high fantasy works The Hobbit, The Lord of the Rings, and the Two Towers. Tolkien was a devout Roman Catholic who once said, “It may be said that the chief purpose of my life, for any of us, is to increase according to our capacity our knowledge of God by all the means we have, and to be moved by it to praise and thanks. Tolkien could read by the age of four and could write fluently soon afterwards. His mother allowed him to read many books He was an Oratory parishioner and altar boy from 1902 – 1911. Father Francis Morgan became guardian to Tolkien and his brother when their mother died. Tolkien was only 12. For a short period of time Tolkien and his brother, Hilary lived with the Oratory community under the guardianship of Father Francis. At the Oratory house, Tolkien lived under the shadow of Perrot’s Folly and the Victorian tower of the Edgbaston Waterworks. Some say the image of the two towers influenced his writing. 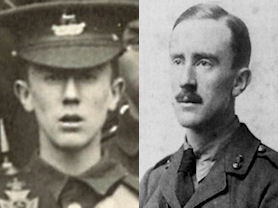 Tolkien in uniform, younger and older. 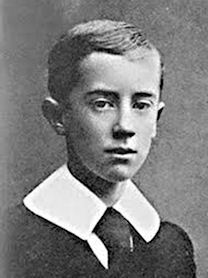 Tolkien was one of the cadets from the school's Officers Training Corps who helped 'line the route' for the 1910 coronation parade of King George V. Like the other cadets from King Edward's, Tolkien was posted just outside the gates of Buckingham Palace. Tolkien married Edith Bratt on 22nd March 1916. They had four children. He served in the First World War at the Battle of the Somme. Certain relics of the Tolkien association still survive at Oratory House in Birmingham today, eg. the share certificates for the small investments left at the time of their father’s death, Father Francis’ executor’s account book, and the large trunk which Mabel, Tolkien’s mother had brought with them from South Africa on what she thought was only going to be a holiday! 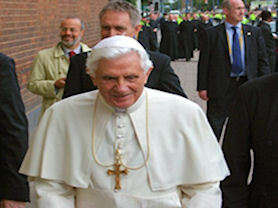 On 19th September 2010 Pope Benedict XVI beatified Newman at Cofton Park in Birmingham. Mrs Dickinson, our Headteacher participated in the Offertory Procession during the Beatification Mass at Cofton Park..
Mrs Dickinson, our Headteacher participated in the Offertory Procession during the Beatification Mass at Cofton Park. Our school was honoured and privileged to be represented during the Pope Benedict XVI’s historic visit to the newly renovated shrine of Blessed John Henry Newman at the Birmingham Oratory following the Beatification Mass at Cofton Park. He was the first pilgrim to pray there. Our children sang ‘God Bless Our Pope’ and were photographed by many Italian Cardinals! The Holy Father was so impressed that he came over to see the children and give his blessing! Shazadi Smith (Year 6) recalled "It felt like it was a moment of my life I’d never forget. My father was on patrol looking after the Pope (photo, below right) – he was so close to him! My heart was racing when I saw the Pope it was incredible. 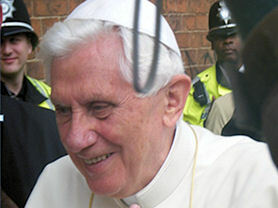 Pope Benedict blessed me and looked me in the eye; this was the most remarkable day of my life! I was especially proud when we sang for him." This page is continually developed with the help and support of Norman Bartlam, local historian, television presenter (Doorstep History), published author, lead for the Ladywood Local History Group and fonder of TNT - The New Team.